New York State is transforming itself into a model of solar power. In April, Governor Andrew Cuomo committed $1 billion to NY-Sun Initiative, a relatively new incentive program for solar deployment. The program provides funding incentives that decrease over time as the industry scales up. As a result, about 316 megawatts of solar have already been installed or are under contract. Cuomo also signed a bill that cuts property taxes for buildings that add solar panels. 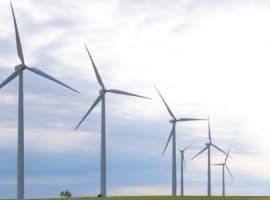 Perhaps more importantly, New York State is constructing a cutting edge electricity marketplace, which will allow for the greater integration of renewable energy, as Stephen Lacey lays out in an article for Greentech Media. The state’s electricity regulators are overhauling rules that would compensate utilities for procuring more clean energy from individual generators. This would give utilities a return for services other than just selling more electricity. The reform could allow utilities to survive in a world of increasing distributed energy. 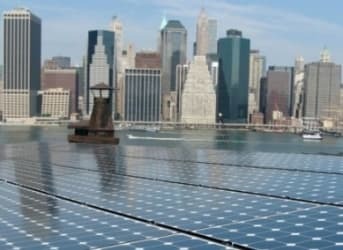 The major reforms have helped New York attract some large solar companies. After the state committed $750 million in tax incentives, SolarCity announced plans to spend $5 billion over the next decade and build a factory capable of producing 1 gigawatt of solar capacity annually near Buffalo, NY. The enormous investments by New York and SolarCity wouldn’t have happened unless demand for solar power was growing by leaps and bounds. Other solar companies are also eyeing the state. The Wall Street Journal reported that Japanese firm Solar Frontier is also planning to build a solar manufacturing facility in New York to take advantage of the growing U.S. solar market. New York has made some unique policy changes to attract solar investment, but underpinning the quickening growth rate of solar installations is the dramatic decline in cost. A solar module is now five times cheaper than it was six years ago. That has changed the calculus for both individuals and utilities building new generation systems. Worldwide, installations of solar have jumped from 7 gigawatts per year in 2009, to 37 gigawatts per year in 2013. In fact, by the middle of the century, solar power could be one of the largest sources of electricity generation on the planet. That prediction comes from the International Energy Agency, which just released a new report on the progress of solar power. The IEA projects that solar will capture 16 percent of global electricity generation by 2050. And while it is still early days, the transition is already underway. In 2013, solar accounted for the second largest form of new electricity capacity in the United States, behind only natural gas. 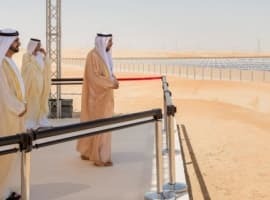 That progress has continued into 2014, with some suggesting that after factoring in small-scale solar projects, new solar capacity could actually be eclipsing natural gas. But in order to successfully integrate the flood of new solar installations into the grid, more states will need to make reforms similar to those in New York. More distributed solar not only cuts into the market share of large utilities, but it forces utilities to raise rates as a result – pushing more customers into solar. Left unchanged, utilities will fight solar policies to stave off their own decline. A new study from Lawrence Berkeley National Lab concludes that as solar penetration levels reach 10 percent of the marketplace, a standard utility in the northeastern U.S. could see its shareholder earnings decline by as much as 41 percent. New York is offering a different path forward by providing incentives for new solar as well as reforms in the utility model. “One of the good things about the U.S. is [that] solar is adopted with relatively little help from the government." Apparently a 30% federal tax credit, billions lost in loan guarantees, even more billions spent by state, federal, and local governments in tax incentives, and government policies that force utilities to buy excess energy from individuals at high prices, qualifies as "relatively little help". It is if you compare the subsidies given to fossil fuels. Yes David, on a dollar for dollar basis that's true, but only because solar is such a tiny fraction of our total energy production. 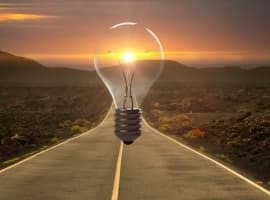 If our power consumption today was equally divided between fossil fuels and solar, and solar subsidies continued at the same percentage per kilowatt, the the total dollar amount of subsidies for solar would be astronomical. Someday solar power will be cost comparable to fossil fuels, but that day is still a long way off. Everything is subsidized at some level in this country. Wall Street, farmers, healthcare, mining, manufacturing, real estate, child credits, and on and on. The government needs to end all subsidies, allow the free markets work, and let consumers make decisions based on their own best interests, not on what some nanny-state bureaucrat thinks is in our best interest.